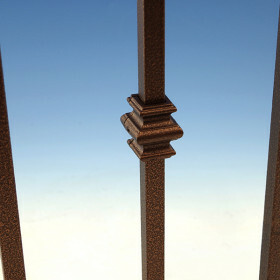 Fortress Railing knows that sometimes you need options! 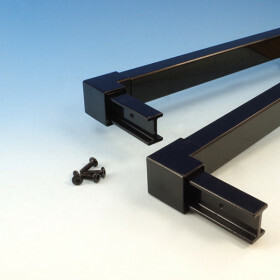 While the FE26 Steel Prefabricated Gate can cover a 34-1/2 inch wide opening, broader opening sizes require the FE26 Steel Gate Uprights. 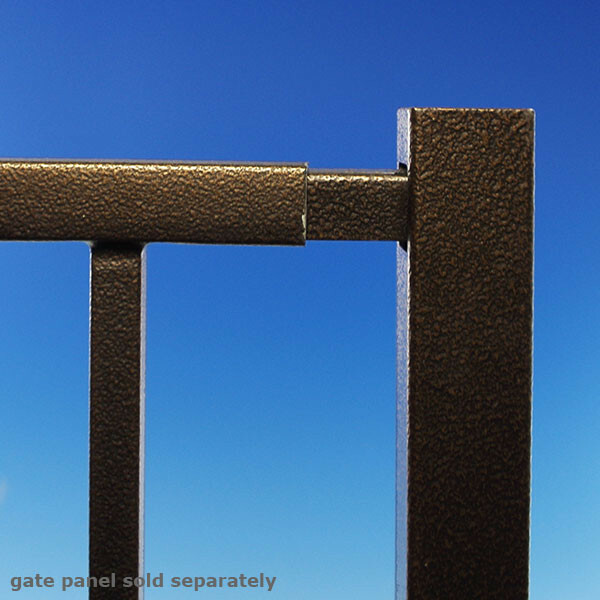 Using a prefabricated FE26 Gate Panel and these Gate Uprights, you can create a custom gate up to 48 inch wide to perfectly protect your space. 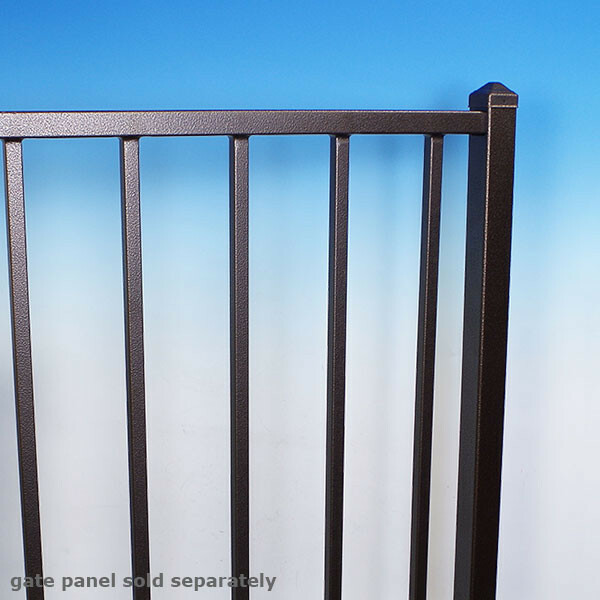 After determining the length of the panel needed, simply add 1-3/8 in to each end of the rails to allow the Gate Uprights to be secured on tightly. 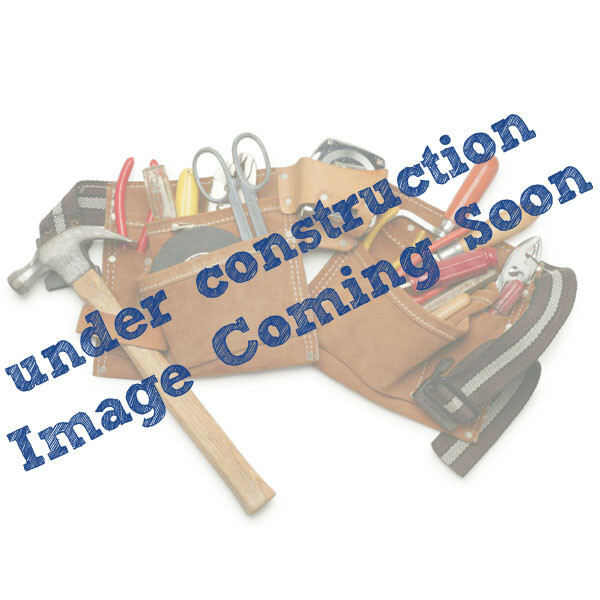 Then use a rubber mallet to drive the Gate Uprights into the top and bottom rails. 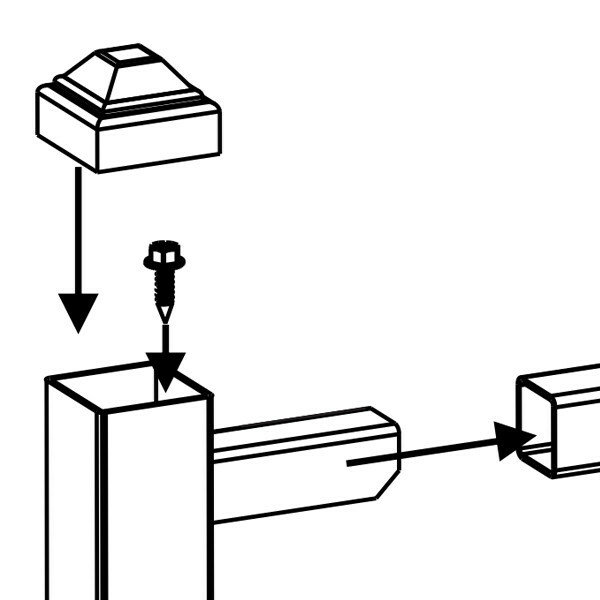 Lastly, install a self-drilling screw into each corner to ensure a strong connection. 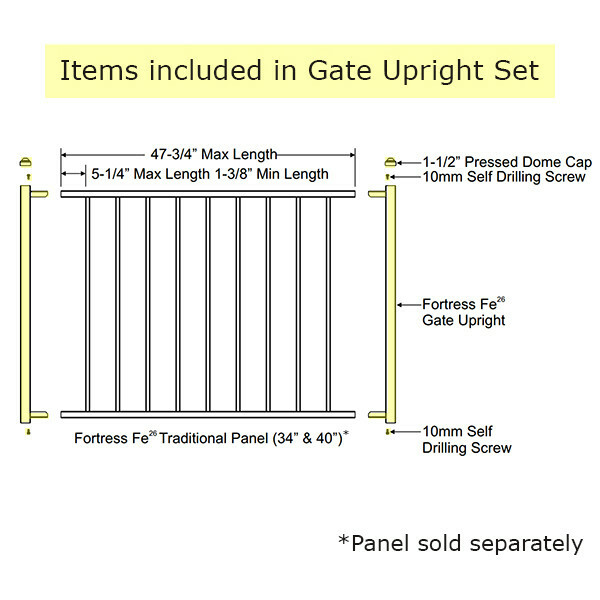 Each Gate Upright set includes 2 Uprights, 2 Pressed Dome Caps, and 8 self-tapping screws. 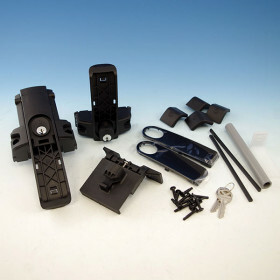 The set is available in coordinating Fortress finishes: Gloss Black, pitted Antique Bronze, and textured Black Sand. 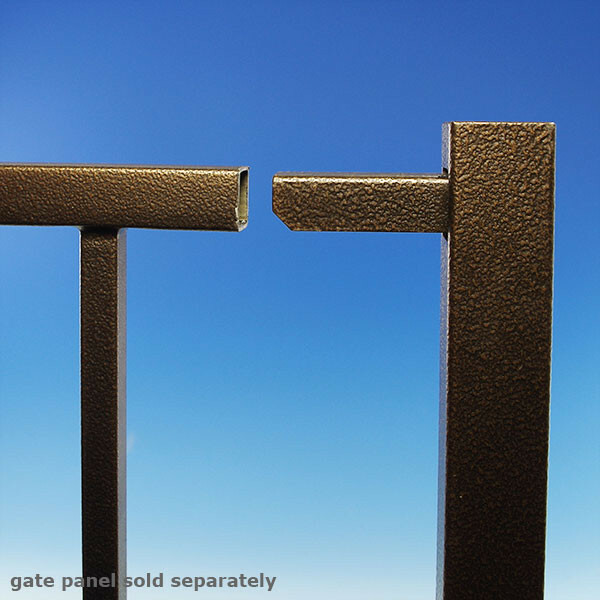 The FE26 Gate Panel and Gate Hardware are sold separately.